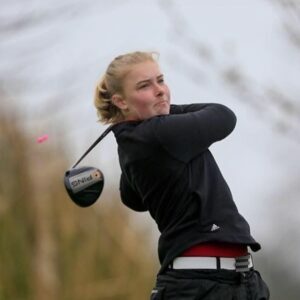 Elite golfer, Caitlin Whitehead from Kendal, has had an amazing 12 months. She received a grant from the Edmond Castle Educational Trust last year towards competition costs and new golf clubs as she’d outgrown her old set. Caitlin, 16 is a member of the England Under 18 squad. 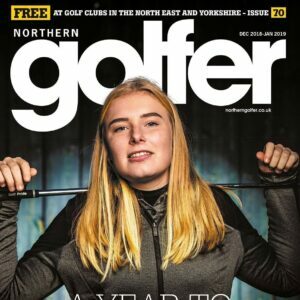 She started the year by winning the West of England Amateur Open in June, represented the Cumbria ladies Team at the Northern Counties Match week, winning all of her 5 singles matches. In July she won the Young European Masters championship in Norway, while in August she was picked to represent Team Europe in the Asia Pacific Junior Championship in Hong Kong, winning her individual competition and mixed doubles, helping Team Europe to victory in the event for the first time since the tournament began. She has since been selected to represent England at the World Junior Championship in Canada later this year and was named Cumbria’s Junior Sports Personality of the Year at the 2018 Cumbria Sports Awards. Through this and other funds we have managed to help many young Cumbrians achieve their dreams, providing a little assistance to help them get past the hurdles in their way. We enable talented people to have access to sports, culture and the arts when otherwise they might be shut out financially.